and tell us what pallets you have and we will ring you back with a good price. Euro pallets are block style measuring 1200mm x 800mm, they are built to European Pallet Association (EPAL) specifications. 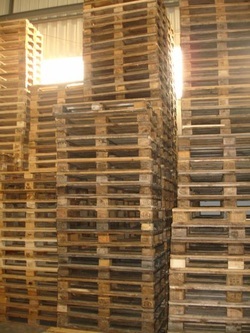 Only pallets with an EPAL branded logo are considered authentic EURO pallets.